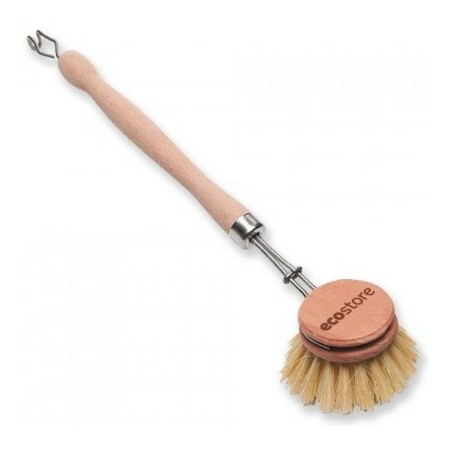 Plantation beech dish scrubber with handle and replaceable head. Hardy vegetable fibre bristles. From EcoStore. Dimensions: 25cm long including head. EcoStore replacement scrub heads also available. Great for washing up or cleaning veggies. 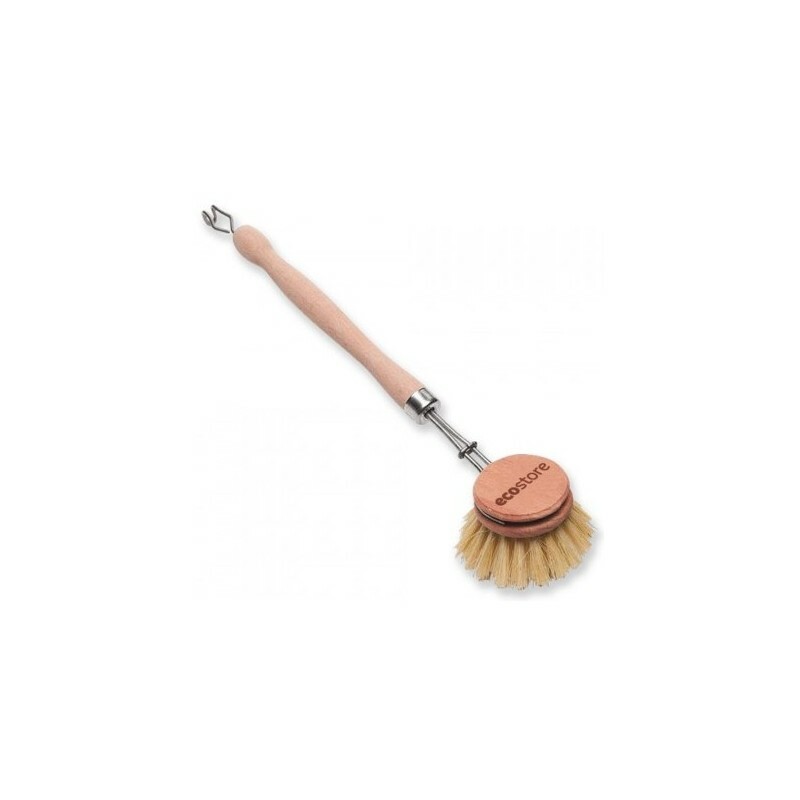 The brush is great for all purpose cleaning and is used in our household nearly everyday, proving to be very durable. A fantastic alternative to plastic scrubbers. I really like this brush but was disappointed with how long the handle lasted. I only replaced the head 3-4 times before the wire holder fell out of the handle. Still a great alternative to plastic brushes and I would buy it again.